After – restored as Apple Crate Antiques! Apple Crate Antiques was born out of the passion of owners Jeff & Lisa McInturf. After 35 years of hunting for themselves they still enjoy searching for useable and unique items. While their “bent” has always been furniture, particularly large one-of-a-kind pieces, the shop offers authentic small antique and vintage items as well. A generalist antique shop, Apple Crate Antiques carries furniture and smalls ranging from early primitive to pre-midcentury and strives to present all pieces in their original or vintage finishes. You will find pristine as well as project pieces. Please take a moment to look through our catalog of inventory. 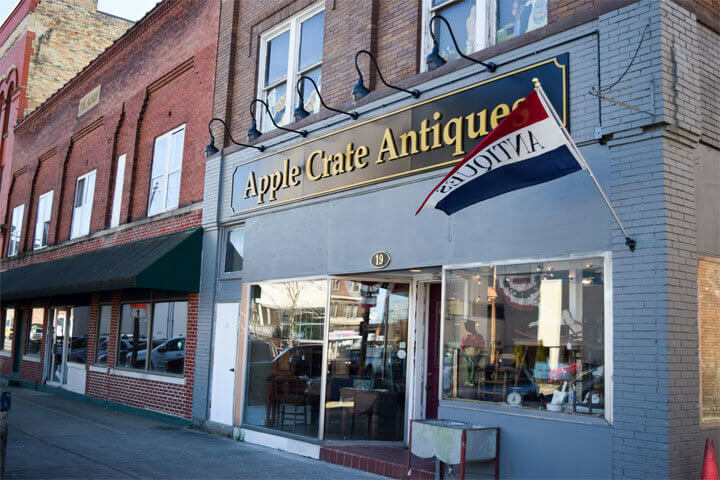 Located at 19 W. Church Street, Newark, Ohio – Apple Crate Antiques is just around the corner from the Licking County, Courthouse Square and the Canal Market District. Downtown Newark is a buzz of excitement, revitalization, investment and fun. 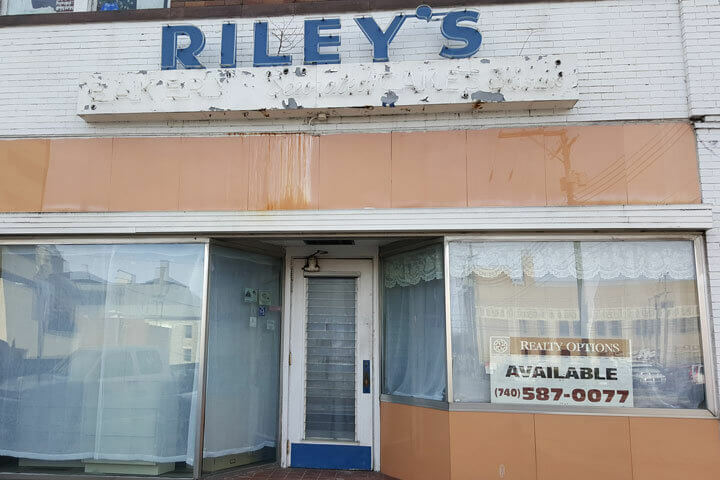 Apple Crate Antiques is located in the renovated former Riley’s Bakery (a previous 80+ year local tradition) situated among shops, local eateries and two theater/concert venues. 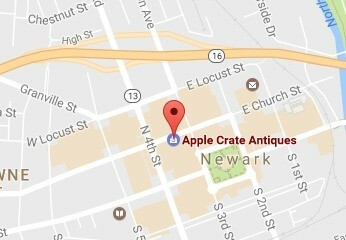 In addition there are numerous other antique and vintage shops within a five mile radius (maps available). Furthermore, Apple Crate Antiques is only about 30 miles from Heritage Square Antique Mall and other Columbus, Ohio antique shops. as well as by appointment. Apple Crate Antiques accepts Cash, Check with I.D. and all major Credit/Debit Cards.